As the death toll from the African Ebola crisis peaked, World Health Organization (WHO) Director-General Margaret Chan delivered a scathing attack on the “profit-driven” pharmaceutical industry and its unwillingness to develop a vaccine “for markets that cannot pay”. Chan’s criticism challenged the notion that medical research is guided by a beneficent hand – an honourable impulse for the betterment of humanity. In reality, research and development of drugs is driven by markets rather than moral concern. Our current medicalised (Western) society is underpinned by an obsession with taking drugs for any ailment and the expectation that life can be augmented through numerous surgical procedures. As the demand grows for newer and better drugs for an expanding range of conditions, so too does the need for clinical testing. Health as a commodity repositions ethics within an economic framework, and human experimentation is no exception. Profits, rather than people, become the prime consideration. Just as many global companies have moved their manufacturing and call centres offshore, the cheapest way to conduct clinical trials is to outsource them to the developing world. It’s no coincidence that human experiments have rapidly migrated to the global south as regulations become more stringent in the developed world. A major justification for moving clinical trials abroad has been the greater availability of “naive” participants – drug-free bodies that allow for unadulterated test conditions. But it’s the vulnerability of subjects that can make them more attractive. Fewer regulatory safeguards, high levels of poverty and illiteracy, combined with an almost blind faith in Western medicine, provide an almost endless supply of “willing” volunteers in countries such as Africa, China, India and parts of Eurasia. Injury or death as a result of misconduct is hard to prove and even harder to prosecute. However, between 2005 and 2012 the deaths of 2,644 Indian subjects were linked to unethical clinical trials. 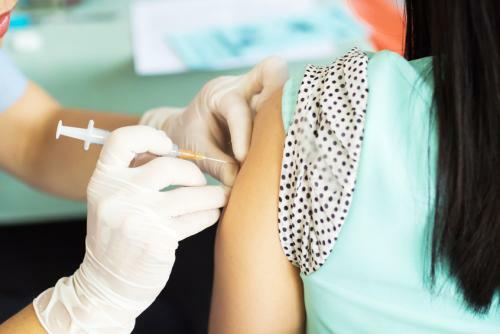 A number of Indian school girls were alleged to have died after taking part in trials of the Human Papillomaviruses (HPV) vaccine. In response to campaigns from groups such as Swasthya Adhikar Manch (Health Right Forum) and media exposure of the exploitation of Indian subjects, in 2013 the Indian government tightened its regulatory regime. This included the mandatory registration and accreditation of ethics boards, and better compensation schemes for the injured and families of deceased victims. The Indian government’s tightening of regulations for clinical trials was met by criticism from many in the industry, including the Association of Clinical Research Organizations (ACRO), based in the United States, whose vice president of public relations threatened to transfer business “to more hospitable countries to mitigate the economic damage”. ACRO is the representative body of the powerful and rapidly growing industry in subcontracted medical research, which allows the pharma industry to turn out cheaper drugs more quickly. Contract research organisations (CROs) are now regarded as a major feature of privatised science. In 2010 they generated US$21.69 billion in revenue, and are expected to generate US$32.73 billion in 2015. One of the advantages of using CROs is their knowledge of local conditions and networks which facilitates access to clinics, researchers, doctors and the most “willing” cohort of participants. However, local knowledge also involves an understanding of conditions best suited to business rather than the well-being of the subjects. It is in some ways illogical – though morally justifiable – to demand that businesses such as CROs and the pharma industry prioritise the welfare of human subjects. Answerable to their shareholders, the task of these businesses is to maximise profits. Unfortunately regulatory bodies, designed to protect the vulnerable, often fall short of their remit. In 2004, the US clinical trials regulator, the Food and Drug Administration (FDA), abandoned its adherence to the principles of the Helsinki Declaration (the professional code for research ethics) in favour of the less stringent Good Clinical Practice guidelines. Critics accused the FDA of effectively siding with corporate interests. Their concern was that the guidelines had been drawn up by regulators located only in developed countries as well as by the pharma industry itself. The recent acknowledgement of and international moves against the exploitation of textile workers in the global south has shown that local activism and human rights agendas can effectively challenge, to some degree, the harmful outcomes of the market. We need the same type of engagement against the exploitation of vulnerable people in clinical trials.